PRESS or very finely slice the clove of garlic. WHISK together 3 tablespoons of mayonnaise, garlic and a small handful of dill without the stems into a nice condiment. CUT the cucumber into very thin slices. WASH the lambs lettuce and pat try using a clean kitchen towel. 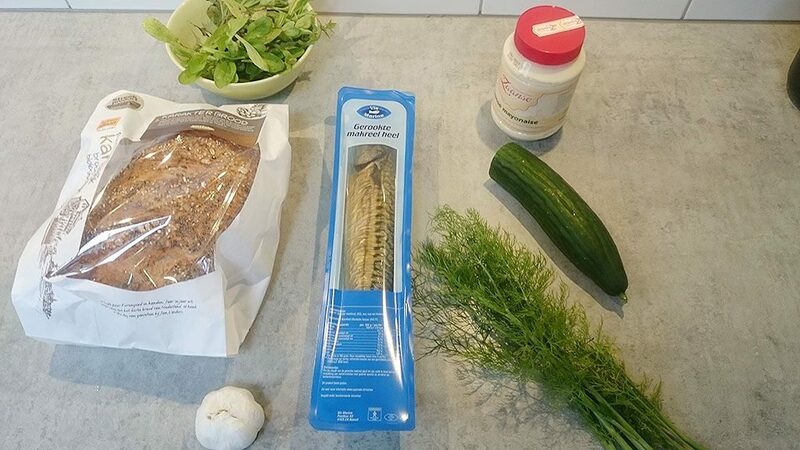 REMOVE skin from the mackerel, then pluck its meat into a large bowl. Make sure to remove all of the fish bones. SLICE two pieces of bread using your bread knife. 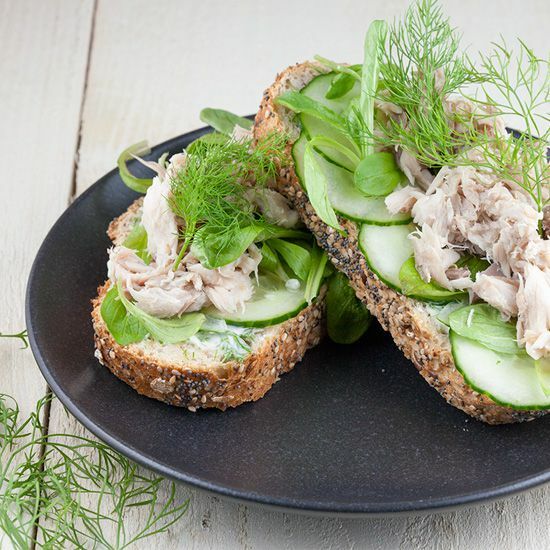 COAT one side of the bread with the mayonnaise condiment, then layer the thin slices of cucumber. 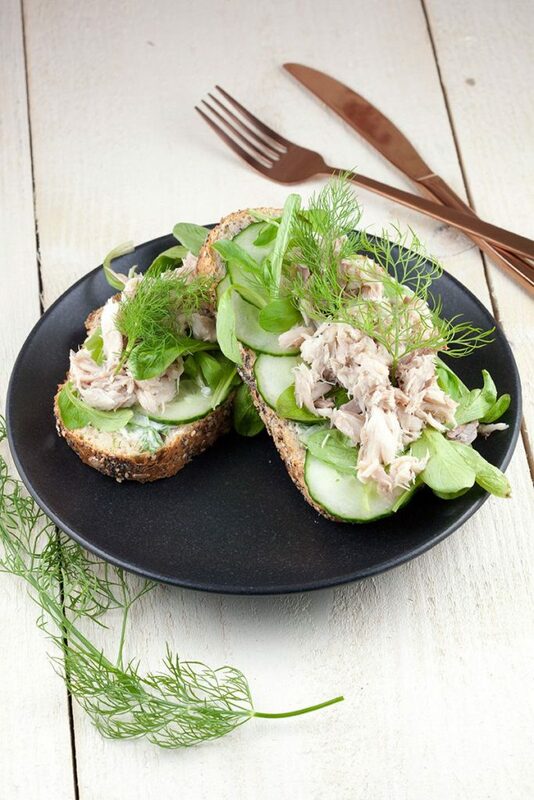 ADD lambs lettuce and mackerel to liking. GARNISH with a sprig of fresh dill. 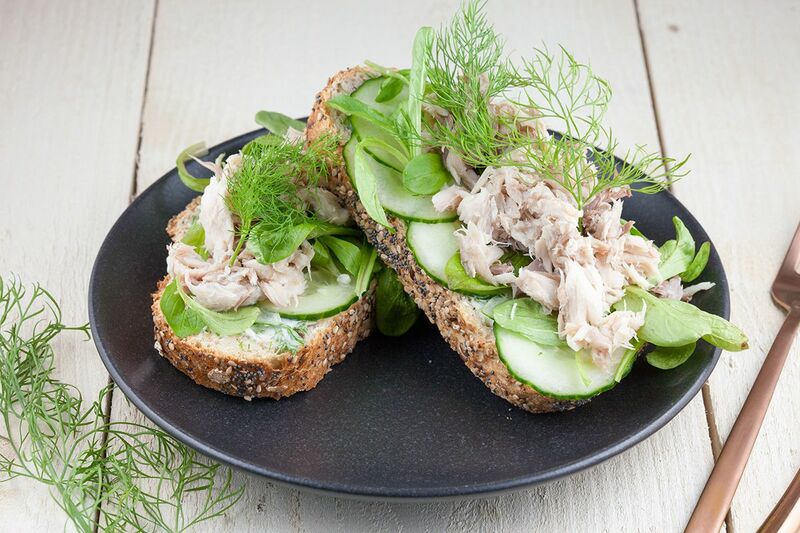 Since the smoked mackerel is salty, we found that there’s no need to add more salt to it. Repeat this step for the other slice of bread. Enjoy!